Its good idea to create multiple users on your Android tablet If the device used by different users. So each user have its own apps and settings. Specially for kids you must have created a different user and apply restriction to it.When we create different users account on Android Tablet, and want to share files with another user on the same device. Requirements: Your tablet must have Android 4.2 or later version installed. 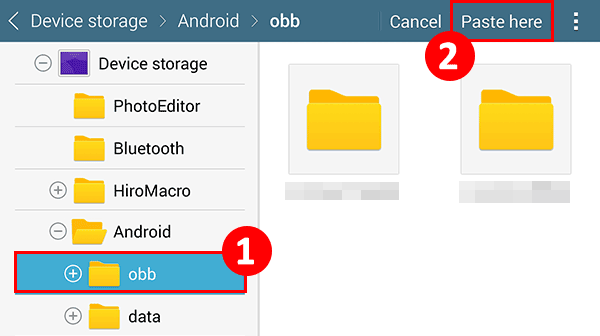 We can share files between users by placing files inside “obb” folder on Android tablet and don’t need to use and storage service like Google Drive or Dropbox, so let’s see in detail how to do that without Dropbox or Google Drive. 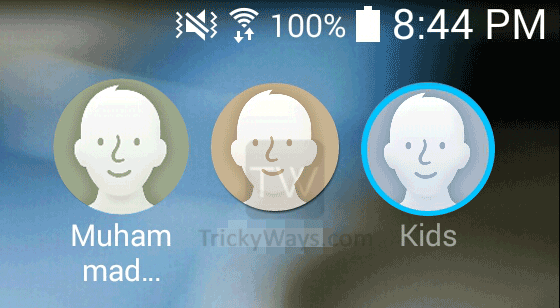 Suppose you want to share files from your main Android account to another Kids account. 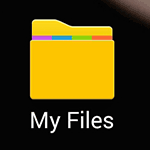 So, open your main account, from Android apps run the default file explorer app “My Files”. Copy the files that you want to share with another Tablet user (To copy files tap and hold on the file and then select Copy from upper-right corner as shown below). Now Navigate to Device Storage (built-in storage) > Android > obb folder and tap the Past here button. Here you can see the files that you shared from main user. I suggest your to move files from obb folder instead of copying, because other users can also access this folder. To read more about Android Multiple users and obb folder please check this link. If you want to ask or share something related to file sharing on Android devices please use comments form below and to get more tips like that follow use on Facebook, Twitter. This is a great article! I appreciate the step by step and the pictures. Unfortunately there is no OBB folder in Android Lollipop. I tried creating one myself but I couldn’t see it from the other account. Any tips on something else to try? From my other account I can’t see the “obb” folder. How can I activate this folder for my second account ? Jerome, how can i make a sharable folder – like the obb- between the owner & a restricted user? you must have root permission .